1Department of Medical Laboratory Sciences, Faculty of Health Sciences, Beirut Arab University, LEBANON. 2Department of Nutrition and Dietetics, Faculty of Health Sciences, Beirut Arab University, LEBANON. 3Department of Pharmaceutical Sciences, Faculty of Pharmacy, Beirut Arab University, LEBANON. Introduction: The alarming increase in bacterial strains resistant to existing antimicrobial agents has demanded alternative strategies. Medicinal plants are now considered as an alternative treatment because of their secure choice in several diseases. Among them, Nigella sativa is a promising traditional herb having rich medical background. The aim of the study is to perform phytochemical analysis of Nigella sativa L. Utilizing Gas chromatographic–mass spectrometric (GC/MS) exploring its antioxidant and antibacterial activity against multidrug resistant (MDR) gram-positive and gram-negative bacteria. Methods: Total phenolic, tannin, and flavonoid content of N. sativa seed extracts and its commercially available oil were determined. Their radical scavenging activity using DPPH was also tested. 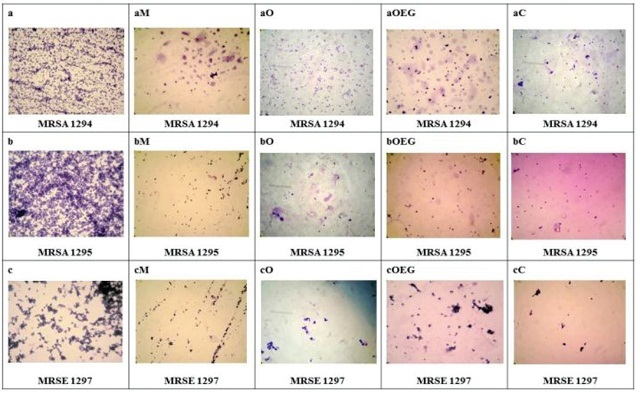 The antibacterial activity of N. sativa seed extracts and its oil against MDR gram-positive and gram-negative bacterial strains was studied using disc diffusion test and the biofilm formation assay. GC-MS studies were also performed. Results: Among the different preparations used, N. sativa oil showed the highest antioxidant and antibacterial activity against highly resistant gram-positive bacteria with the greatest suppression of biofilm formation, which was attributed to its high bioactive contents. Conclusion: This study indicates that N. sativa extracts and its oils can be used as natural antibacterial agents to treat infections caused by multidrug resistant bacteria. Saleh FA, El-Darra N, Raafat K, Ghazzawi IE. Phytochemical Analysis of Nigella sativa L. Utilizing GC-MS Exploring its Antimicrobial Effects against Multidrug-Resistant Bacteria. Pharmacognosy Journal. 2018;10(1):99-105.